A well-designed monument sign greatly increases the functionality and curb-appeal of a commercial space. It gives an impression of permanence and professionalism like nothing else can. Whether it is a multi-tenant free-standing directory or simply a name/address marker, these signs have a presence that can not be ignored. Let us work with you to design, construct and install a monument sign that sets your location apart. We’ll make sure that it delivers the message and presents the image you want. Signs4Success will survey your location, consider the sightlines and traffic flow, engineer the footing, handle all of the permitting, and oversee the installation of a sign that will look outstanding for years to come. 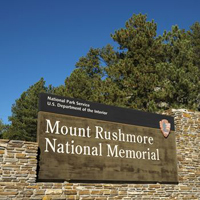 Not sure if you want a monument sign or a digital display? Have them both! Signs4Success can design a custom monument which has digital billboards built right into it for the best of both worlds. Call us today to start exploring options for your next project!